Gerard Rothschild has wide experience of high-profile litigation with a commercial focus. Gerard is recognised in the legal directories as a leading junior in the fields of Commercial Dispute Resolution, Competition Law and Energy. 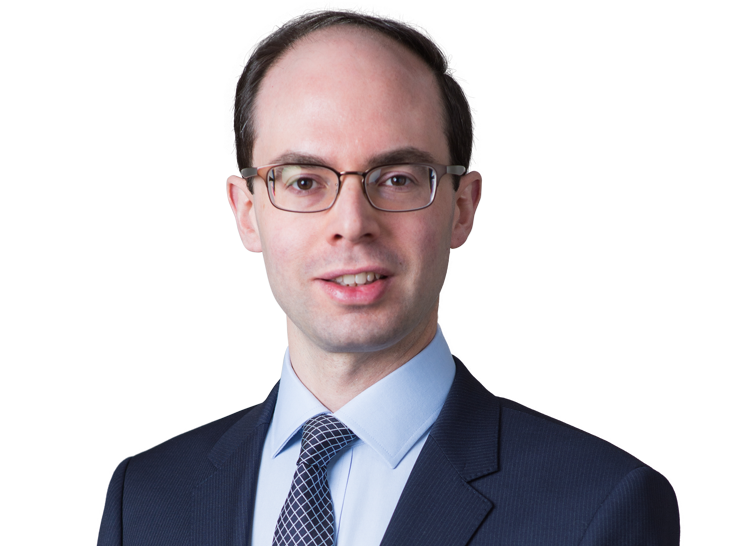 He is described as “highly recommended for his responsiveness, commerciality and client-friendly approach.” His practice also extends to Public Law, having taught Constitutional Law for five years at Magdalen College, Oxford. Please click on the headings below for details of his expertise and current cases. Commercial Law forms the core of Gerard’s practice, advising and representing clients in a wide range of business litigation and arbitration, often with an EU or international element. From his postgraduate studies, he has particular interests in restitution and the conflict of laws. Skatteforvaltningen v. Solo Capital Partners & others: claims pending before the Commercial Court by the Danish tax authority for restitution of some £1.6bn of allegedly wrongfully refunded withholding tax. Apple v. Qualcomm: an appeal pending before the Court of Appeal on jurisdiction in a global IP/FRAND dispute. Micula v. Romania: an appeal pending before the Supreme Court on enforcement of an ICSID arbitration award. Apple v. Qualcomm  EWHC 1188 (Pat);  FSR 27 (service out of the jurisdiction and summary judgment on French law). General Nutrition Investment Co. v. Holland & Barrett International Ltd.  EWHC 746 (Ch) (requirements for serving notice of termination where there has been an equitable assignment). Gerald Metals SA v. Timis  EWHC 2327 (Ch) (scope of the court’s role to grant interim relief by way of freezing injunction in aid of an arbitration under the LCIA Rules). Aspen Insurance UK Ltd. v. Adana Construction Ltd.  EWCA 176;  Lloyd’s Rep. IR 511 (meaning of “product” in a product insurance policy). Liberata UK Ltd. v. British Telecommunications plc  EWHC 2565 (Comm) (amendment of statement of case in the context of likely frustration of a public sector outsourcing project). Secretary of State for Transport v. Paragon (Commercial Court proceedings to recover the cost of replacing all V5 vehicle registration documents). Hussain v. Seymour  EWHC 891 (QB) (obligation of full and frank disclosure upon applying for a freezing injunction). Opus Property Finance Ltd. v. Arca Homes Ltd.  EWHC 2617 (Comm) (summary judgment despite disputed authenticity of document). Cherney v. Deripaska (Commercial Court claim between two ‘oligarchs’ said to be for over $3 billion and cited by The Lawyer among the ‘top cases of 2012’). Terna Bahrain Holding Co. WLL v. Al Shamsi  EWHC 3283 (Comm);  1 Lloyd’s Rep. 86 (antisuit injunction and enforcement of arbitral award). E-Nik Ltd. v. Department for Communities and Local Government  EWHC 3027 (Comm);  2 All ER (Comm) 868 (distinction between debt and damages and availability of interest under the Late Payment of Commercial Debts legislation). Sir Keith Mills v. Coutts & Co. (Chancery Division claim alleging mis-selling of investments). Shared Network Services Ltd. v. NextiraOne UK Ltd.  EWHC 3845 (Comm); Lawtel 9/12/2011 (construction and fairness of a limitation clause). Harsco Infrastructure Services Ltd. v. Bellway Homes Ltd.  EWHC 3519 (TCC);  All ER (D) 203 (Oct.) (incorporation of standard contract terms in a battle of forms). Coys of Kensington Automobiles Ltd. v. Pugliese  EWHC 655 (QB);  2 All ER (Comm) 664 (test of consensus for a jurisdiction clause to apply). In the field of Competition Law, Gerard has appeared before all levels of domestic courts and tribunals from the Competition Appeal Tribunal to the Supreme Court. He also advises on procedural issues. He is a contributing author of Competition Litigation: UK Practice and Procedure (OUP). Apple v. Qualcomm: acting for defendants to claim alleging breach of competition law by abuse of dominance, in particular via charging of excessive (non-FRAND) royalties. Iiyama v. Samsung: acting for claimants in damages claim arising out of the Cathode Ray Tube cartel. Foreign exchange cartel: acting for claimants pursuing damages claims. Iiyama Benelux BV v. Samsung  EWCA Civ 220;  CMLR 23 (territorial scope of EU/EEA competition law). Société Coopérative de Production Seafrance v. CMA  UKSC 75;  2 All ER 631 (whether a relevant merger situation within the jurisdiction of CMA). Accord Healthcare v. Astellas Pharma  EWHC 3676 (Ch) (conditional marketing authorisation within EU Medicines Directive). R (Speed Medical Examination Services Ltd.) v. Secretary of State for Justice  EWHC 3585 (Admin);  ECC 13 (whether government created a scheme which gave rise to an abuse of dominance). BT v. Ofcom  EWCA Civ 133;  4 All ER 673 (test on appeals from the CAT under the Communications Act 2003, s.316). Lafarge Tarmac v. Competition Commission  CAT 27;  Comp AR 69 (expedited application during a market investigation). BMI Healthcare v. Competition Commission  CAT 24;  Comp AR 8 (unfair procedure for data rooms in the Private Healthcare market investigation). BSkyB & others v. Ofcom  CAT 20 (Pay TV appeals relating to mandating access to Sky Sports channels as an ex ante remedy). Hays plc & others v. OFT  CAT 8;  Comp AR 389 (application of OFT Penalties Guidance to the Construction Recruitment Forum). Virgin Media v. BSkyB  EWCA Civ 612;  1 WLR 2854 (right to use lawyer of choice in competition proceedings). Chester City Council v. Arriva  EWHC 1373 (Ch);  UKCLR 1582 (Chapter II abuse of dominance claim relating to bus transport in Chester). Gerard has acted for a range of clients in the energy sector including National Grid, Scottish Power and UK Power Networks, as well as the regulators Ofgem and the Utility Regulator of Northern Ireland. In addition to commercial issues arising in this field, he has broad experience of regulatory issues in the context of price controls, having acted in several CMA appeals on the subject, and under the Electricity Act 1989 and Gas Act 1986 more generally. Fine Lady Bakeries v. EDF: acting for EDF in High Court proceedings concerning responsibility for incorrect set-up of an industrial user’s electricity meter. EDF & SSE v. GEMA (CMA, 26/2/2018): acting for National Grid in an energy code modification appeal relating to the cap imposed on transmission charges by EU law. Firmus Energy v. NIAUR (CMA, 26/6/2017): acting for the Utility Regulator of Northern Ireland in the first licence modification appeal under the Gas (Northern Ireland) Order 1996. R (UK Power Networks) v. GEMA  EWHC 1175 (Admin);  ACD 91 (challenge to Ofgem determination concerning whether sums amounted to “security” or “payment” for the purposes of sections 19 and 20 of the Electricity Act 1989). British Gas Trading Ltd. v. GEMA (CMA, 29/9/2015) (acting for Scottish Power in energy licence modification appeal to the CMA arising out of Ofgem’s RIIO-ED1 price control). R (RWE Generation UK plc) v. GEMA  EWHC 2164 (Admin);  1 CMLR 17 (judicial review considering whether National Grid’s electricity transmission tariffs were discriminatory and/or cost-reflective). R (Western Power Distribution Ltd.) v. GEMA  EWHC 4381 (Admin) (judicial review concerning whether a loss reduction adjustment in electricity distribution price control arrangements amounted to a penalty reviewable on grounds of proportionality). In the area of Public Law, Gerard has particular expertise acting for both claimants and defendants in commercial judicial review cases, where the regulatory issues often overlap with his other fields of practice. He has also been involved in significant cases with a constitutional aspect, drawing on his experience of teaching Constitutional Law. Re Charlie Gard: acting pro bono for the parents of baby Charlie Gard in the appeals as far as the European Court of Human Rights challenging the decision to restrict medical treatment for their child. R v. Mackinlay  UKSC 42;  3 WLR 556: acting for the Electoral Commission before the Supreme Court in a criminal appeal on issues of electoral expenses law arising at the South Thanet by-election. R (Good Law Project) v. Electoral Commission  EWHC 2414 (Admin);  1 All ER 365: judicial review proceedings now pending before the Court of Appeal on the application of expenditure rules at the 2016 EU Referendum. EDF & SSE v. GEMA (CMA, 26/2/2018) (energy code modification appeal relating to whether EU law imposes a cap on transmission charges). Great Ormond Street Hospital v. Yates (no. 2)  EWHC 1909 (Fam);  4 WLR 131 (whether fresh evidence can be adduced before the Family Division exercising its best interests jurisdiction). Gard v. UK (2017) 65 EHRR SE9 (rights to life and to private and family life in the context of life-sustaining treatment). Re G (a child)  EWCA Civ 410; (2017) 157 BMLR 1 (withdrawal of medical treatment despite parental wishes). Firmus Energy v. NIAUR (CMA, 26/6/2017) (first licence modification appeal against Northern Ireland Regulator under Gas (Northern Ireland) Order 1996). R (Speed Medical Examination Services Ltd.) v. Secretary of State for Justice  EWHC 3585 (Admin);  ACD 25 (challenge to civil procedure reforms regarding personal injury claims based on their effect on competition). British Gas Trading Ltd. v. GEMA (CMA, 29/9/2015) (energy licence modification appeal arising out of the RIIO-ED1 price control). R (RWE Generation UK plc) v. GEMA  EWHC 2164 (Admin);  1 CMLR 17 (judicial review raising issues of discrimination in relation to electricity transmission). R (Western Power Distribution Ltd.) v. GEMA  EWHC 4381 (Admin) (judicial review distinguishing between incentives and penalties in the context of an electricity distribution price control). R (Wheeler) v. Office of the Prime Minister  EWHC 3815 (Admin);  1 CMLR 46 (challenge under the European Union Act 2011 to the Government opting in to the European Arrest Warrant scheme). BMI Healthcare v. Competition Commission  CAT 24;  Comp AR 8 (natural justice challenge to the procedure adopted by the Competition Commission in relation to viewing confidential materials). R (Wilcock) v. Lancaster City Council  EWHC 1231 (Admin);  LLR 607 (hackney carriage licensing decisions and legitimate expectations). R (Birmingham and Solihull Taxi Association) v. Birmingham International Airport Ltd.  EWHC 1913 (Admin);  LLR 727 (judicial review of contracting decisions of private airport company). R (Higher Burrow Organic Farming Partnership) v. Secretary of State for Environment, Food and Rural Affairs  EWHC 953 (Admin);  All ER (D) 230 (Apr.) (judicial review arising out of the Government’s scheme for controlling tuberculosis in cattle).